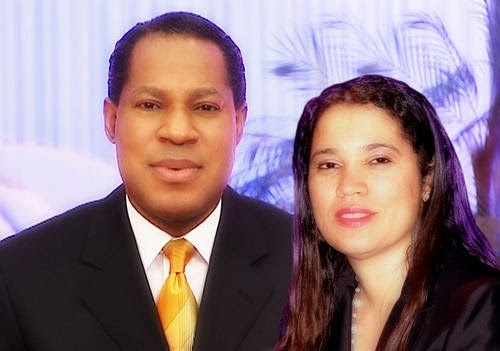 Latest findings by DailyPost indicates that Pastor Chris Oyakhilome of the Christ Embassy has removed every information about his wife, Anita from the church website. This is not unnoconected with the wind of divorce currently blowing in the family. TheCable had excluisvely reported that the wife, Anita who is also Vice President of Loveworld Assembly, better known as Christ Embasy had filled for divorce in a London Court over alleged adultery. Following the shocking revelation, DailPost ran a quick check on the church’s website (http://www.christembassy.org) only to discover that every information about the wife has been expunged. Previously, the picture of Pastor Chris and his wife, Anita were on the homepage of the website but following the shocking revelation, the wife has been removed from the site.